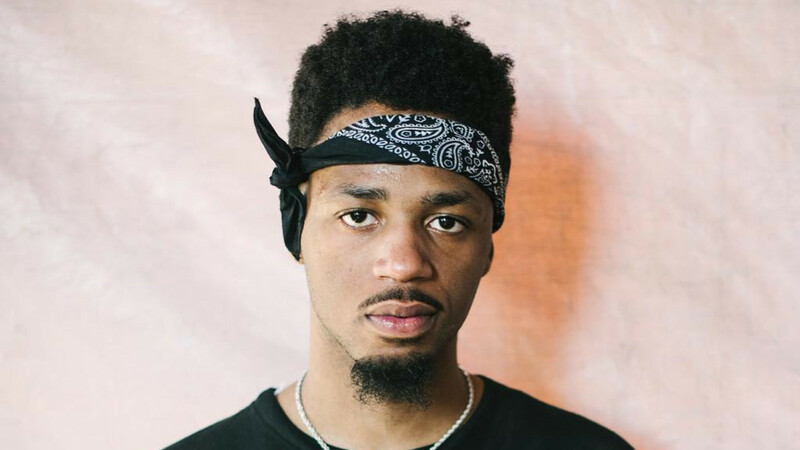 The news came as a surprise to many that keep up with current hip-hop when producer Metro Boomin announced his retirement from hip-hop via Instagram in April of 2018. It was unclear as to why the decision had been made by the BET award-winning “Producer of the Year” of 2016 and 2017 and consequently left many asking themselves the same question: why would one of the most in-demand and widely recognized producers of this generation suddenly quit? This question was fueled by the widespread success of Metro’s work, having produced many multi-platinum hits including the Migos’ “Bad and Boujee,” Future’s “Mask Off,” and 21 Savage’s “Bank Account.” Was it all just a plan to stir up controversy and publicity? Whatever the reason, Metro’s hiatus from the rap scene was brief, and he came back swinging on November 2nd with a new album, NOT ALL HEROES WEAR CAPES, an ambitious project loaded with prominent features, including Travis Scott, Swae Lee, Offset, Gunna, Young Thug, and 21 Savage. However, while the album has serious potential in its abundance of talent and slew of other producers to assist on the project such as Tay Keith, Southside and Wheezy, it still falls short in several categories that result in an overall underwhelming project. The album opens with the track “10 AM/Save The World” (feat. Gucci Mane), which is an interesting choice to begin the project as Gucci’s verses are delivered in a very soft, detached and almost songlike flow that does not provide an interesting introduction to the album by any means. To Metro’s credit, the production value of the song is high, with a very smooth and melodic beat that prominently features the use of violin that entrances the listener, but it is not nearly enough to distract from Gucci’s odd flow and underwhelming performance. Next up is Travis Scott’s solo track “Overdue”, which is one of the better tracks on the album wit h a relaxed vibe and some ominous background vocals from Travis. The track centers around Travis’ vocals and orchestral melodies and is overall a solid addition the album. However, the entire vibe of the song is completely ruined by 21 Savage’s next track, “Don’t Come Out the House,” which begins as a seemingly standard 21 Savage track but quickly devolves into 21 whispering softly into your ear as bass pounds in the background, an interesting approach that both amused me and made me extremely uncomfortable when I listened to the song for the first time. I will give the song credit for its originality and innovation in attempting to bring something new to the album, but the action of rapping about killing and growing up extremely poor while whispering softly ruins any replay-ability or vibe that the song may have had. This monstrosity of a track is followed by Swae Lee and Travis Scott’s “Dreamcatcher” which features a very simple yet hypnotizing beat and some solid vocals from Swae Lee with Travis’ voice layered in. The artists take turns in delivering their verses and vocals throughout the song, creating a melodious synergy between the artists that results in one of the more solid tracks on the album. Following this is Gunna’s “Space Cadet,” a run-of-the-mill Gunna song that really centers around the glistening and other-worldly beat that Metro constructs, which does give off the “spacey” vibe that the song’s name implies. 21 Savage returns immediately after in the next track “10 Freaky Girls” and completely redeem himself by delivering what is probably the best all-around track on the project. The song starts with a cheerful and relaxing melody that transforms in an instant to 21 delivering vicious bars over a menacing beat and sinister melody that features victorious trumpets scattered throughout the track. Refreshingly, 21 Savage holds his own lyrically and in his delivery, which I normally find to be subpar and borderline unlistenable in some of his other songs. These factors combine to create a quality track that has standout potential on the album and a high replay-ability aspect. The next song, “Up To Something” (feat. Travis Scott and Young Thug) showcases a fairly average performance from Young Thug and only features Travis on a few of the choruses, which results in Metro having to carry the brunt of the song off of his producing ability, but does not really stand out from some of the other subpar tracks that are littered throughout the album. However, the hidden gem on the album resides in the next track, “Only 1 (Interlude)” featuring Travis Scott, in which the song is purely Travis’ vocals over a piano playing melodically, the two forces working together to create a beautiful, poem-like track in which Travis showcases raw emotion in his vocals as he talks about love and heartbreak. 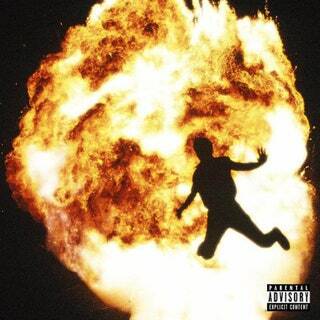 The album then descends into shambles past this point, with Swae Lee and African dancehall artist Wizkid teaming up for an attempt at a slower track that flops both lyrically and stylistically as it is trying to hard to be something it is just simply not meant to be and does not fit the style of Metro or the album in general. Following this unimpressive endeavor, Offset joins reggae artist J Balvin and Wizkid (again) in a vain attempt at a dancehall-inspired track that leaves the listener completely unimpressed by the unoriginality and basic nature of the song. Finally, the last track on the album (excluding Drake and Offset’s “No Complaints” since it has been out since mid-2017) is Travis Scott, Kodak Black and 21 Savage’s “No More,” an interesting track in which 21 Savage and Kodak address their substance abuse issues and the impact on fame on relationships and their outlook on life. A simple beat from Metro provides a decent platform for the artists to share their struggles, featuring heavy bass and electric guitar chords. The track closes out the album decently, and was very interesting to me because of the serious and honest nature of the song coming from rappers who normally brag about these topics. In conclusion, this album suffers because of its low points outweighing the good moments but has a few above-par tracks that serve to keep the album afloat. I thought that the production from Metro was slightly better and more sophisticated than on many of his other songs, and he does a decent job of utilizing the album overall to highlight his talent as a producer. I would give this album a 6.5 out of 10.